Ajay Singh, who himself has scripted a major turnaround story after taking over no-frills carrier SpiceJet, said India has a real terrific story to tell in Davos. 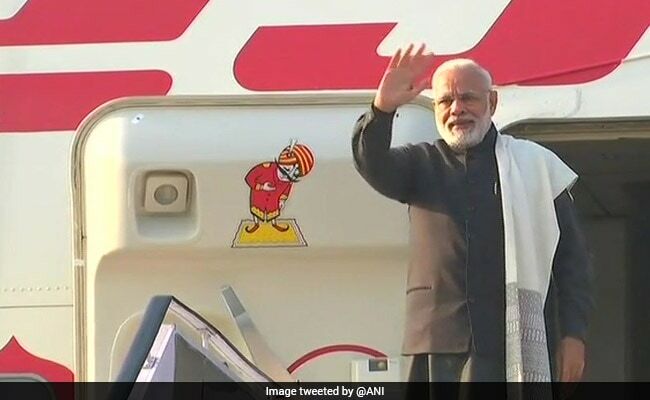 Davos: Prime Minister Narendra Modi has a great story to tell about significant reforms undertaken in India and even a greater story about 1.4 billion Indians, a young population and a massive market for the world, while no one other than him can tell this story better, SpiceJet CEO Ajay Singh said today. In Davos to attend the World Economic Forum (WEF) being addressed by PM Modi among other world leaders, Mr Singh said it is a very big occasion for India as an Indian prime minister is attending the WEF Davos summit after 20 years. "When we saw Chinese premier Xi Jinping here last year, there was a lot of focus on China and it's natural there would be a lot of focus on India this time," Mr Singh told PTI in an interview. "There is a good story on all economic parameters and of course there is the larger story also of 1.4 billion people, of a young population and of a massive market," Mr Singh said. "It's a great story and who can be better than the prime minister to tell this story. India will create a buzz this time at Davos and there is no question about it," he said. Ajay Singh said he and all other Indian CEOs are already witnessing an overflow of meeting requests and there is certainly a lot of interest about India this time. In the largest ever Indian presence in the 48-year history of WEF summit in this Swiss ski resort town, more than 130 Indian CEOs are present along with over 2,000 business leaders and 70 heads of states and governments. Besides, several other leaders from politics, business, academia, art, culture and civil society are also present for the event which opens today and will close on Friday.